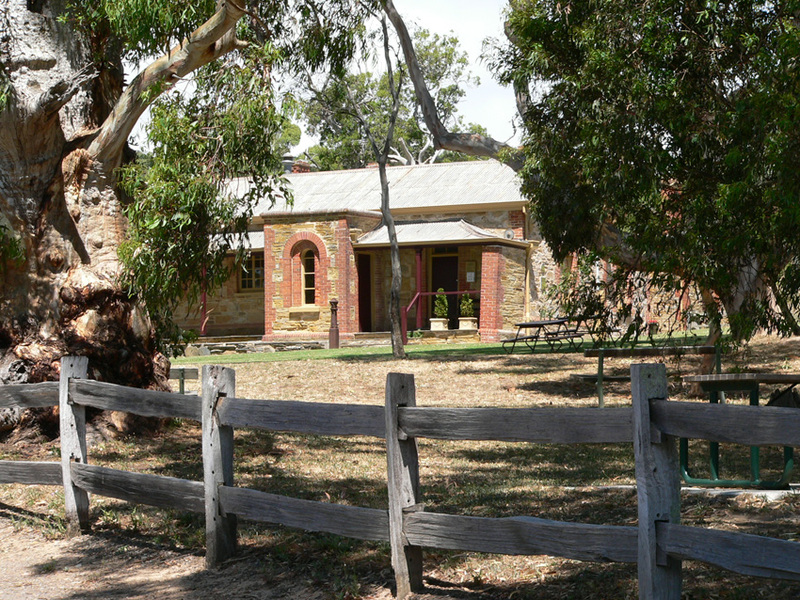 A few weeks ago I spent a weekend in the charming little country town of Willunga just south of Adelaide, in the McLaren Vale wine region. I was updating some illustrations in one of my wildlife books and needed some photographs of honeyeaters feeding on different coloured flowers. We stayed in a heritage B&B on the edge of the town with a lovely garden featuring stands of agapanthus, native hibiscus and several large bottle brush trees. 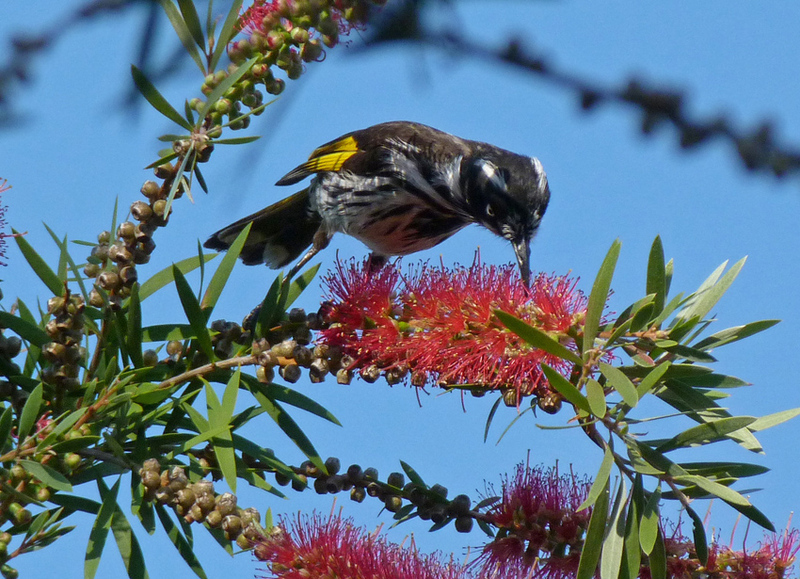 Throughout the day a variety of birds, including both new Holland and white plumed honeyeaters, used their elongated beaks to probe the blossoms and hawk for insects. 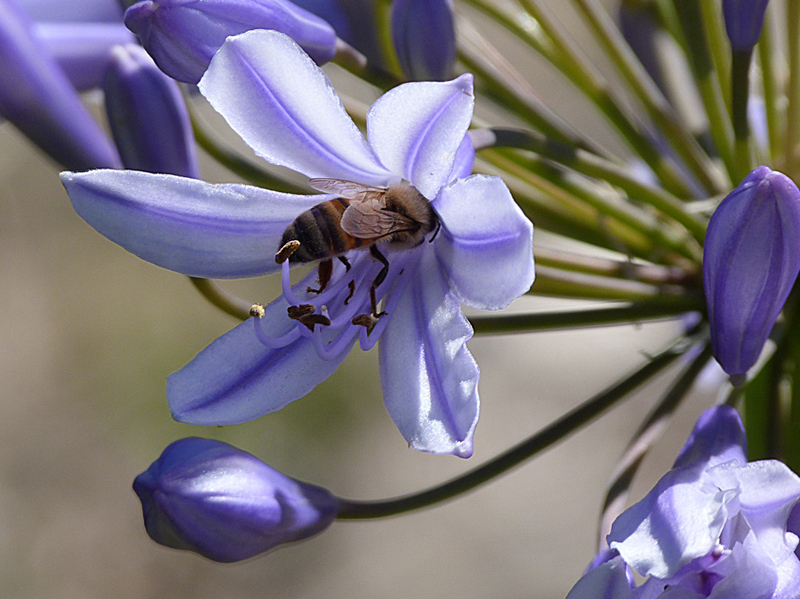 As well as honeyeaters the plants attracted more than their fair share of bees. Between sips of wine and a nibble of cheese (doing it tough that day) I watched them flit from one blossom to another gathering nectar and collecting a dusting of pollen on their legs. Then, out of the corner of my eye, I caught sight of one bee flying more erratically than the others, it seemed to hover for a second then repeatedly zoom off in different directions; like a miniscule attack helicopter. Every so often it would land but only for a short time before resuming its unpredictable flight pattern. I moved my chair a little closer to the native hibiscus, where the little insect seemed to be spending most of its time, set the camera to macro zoom and started to track it through the lens. The bee was certainly smaller than the honeybees that were also doing the rounds of the blossoms and it appeared to have a bluish tinge. I fired off a couple of frames and took a closer look on the review screen. It was certainly not a honeybee. Over the next hour and a half several of the little blue bees appeared at different times and I managed to get a series of images that I could use to identify them. I suspected they were native bees which I had heard of but knew very little about. My guess was correct. 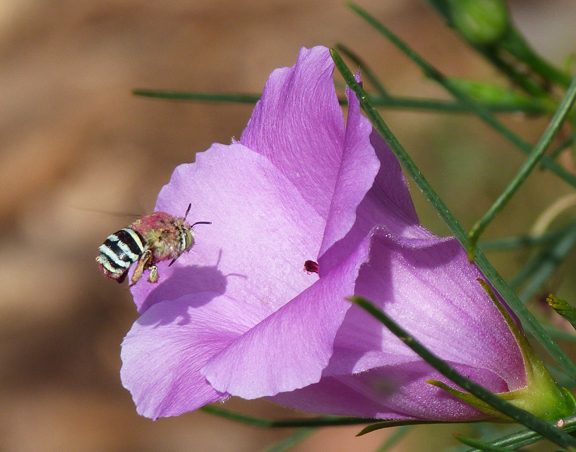 The little insect was a blue banded bee (Amegilla cingulata). Blue banded bees are actually far more common than I realised and are found throughout SE Asia. They contribute to the pollination of many commercial crops with their unique ability to buzz pollinate; the result of intense wing vibrations when they cling to flowers. Unlike honey bees these native bees are not colonial with females building burrows in dried up river banks or even soft mortar in urban housing. Their sting is mild and they are not aggressive. Interestingly, these blue bees collect most of their nectar from blue flowers and since my initial sighting I have found them on the lavender and agapanthus in my own garden. They have obviously been there for years and I had never even noticed; yet another lesson in observation.